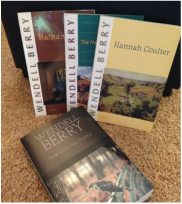 Wendell Berry is a farmer, poet, storyteller. All of his work is thought provoking. My favorite is his series of novels set in the fictional Kentucky town of Port William. The characters are so real, I want to visit them and hear more about their lives. 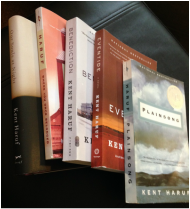 Kent Haruf's stories are honest depictions of our full humanity. 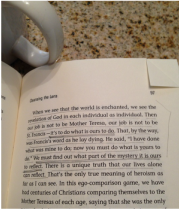 His characters are flawed but not in a sensational way - in a way that speaks to the truth in each of our lives. His stories are full of grace. non-fiction writer. Everything Belongs (pictured above) and Falling Upward really spoke to me. non-fiction in the banner picture above!